The inspiration for this lunch I'm sharing is Witzy, a character from Suzy's Zoo. Witzy ended up looking a little overweight, lol. Witzy is made from rice coloured with egg yolk, with carrots used for his bill. And he's taking a bath in a bowl of minced pork curry. 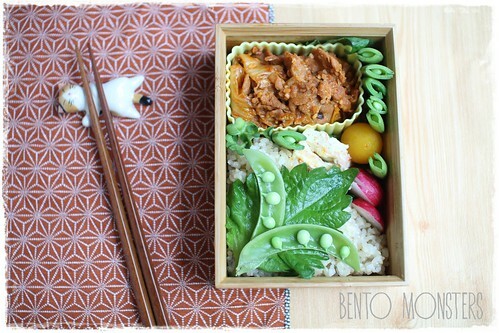 I've done two bentos for myself this week, which I've yet to share. 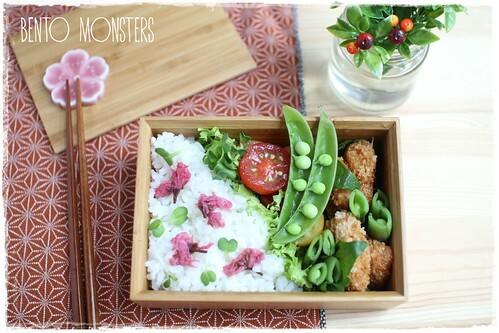 The first one is this Sakura bento. 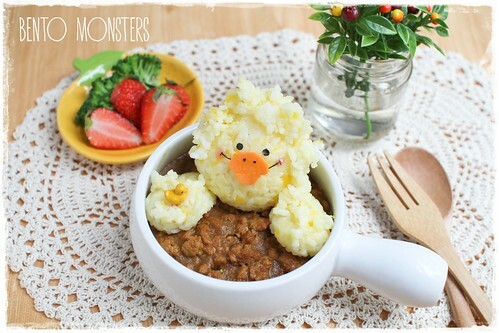 Ducks are really funny, and both traditional bentos are a beauty composition, love them all! Tk u, Mayumi, I'm still learning to pack traditional bentos. 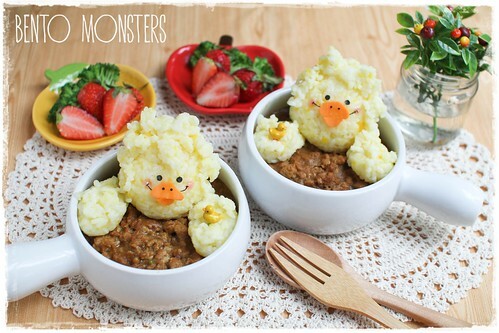 The ducks are super cute and I love the chubby faces not to mention the yummy looking curry :) The sakura bento is so prett! These ducks are so cute!